Get in the games! : My Ten Favorite Video Games of All Time. 10. 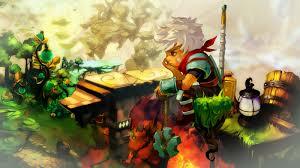 Bastion: This game is simply awesome in so many ways. The music, the gameplay, the story. Everything really. It’s as close to perfect as an action game can get. But one of my favorite moments in this game is near the end. Zulf, after failing so many times, is attacked by his people, the Ura and was left for dead. The kid had just received the battering ram and was using it to plow through the Ura. The Game gives you a choice then. You can continue on and ignore Zulf or you can carry him to safety, but have to put down the ram and be defenseless. If you choose to help Zulf like I did then you know what I’m about to say. If you carry Zulf home, the Ura will attack you as you trudge along, but when you only have a sliver of health left, they stop, just watching as you save him. Zulf may have been the villain but there was something so touching about that scene, and few video games can top it. 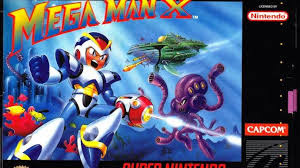 9.Mega Man X: My favorite Mega Man game, this one was fast and just plain awesome. Zero was an awesome mentor, and his sacrifice one of the best in gaming. The pace was good and boss fights tough as nails, this game gives you nothing on a silver plater, and you even have to go out of your way for the special armor for X( which is really worth it by the way). But when you have beaten it, you’ll remember it as one of the best games ever. 8. 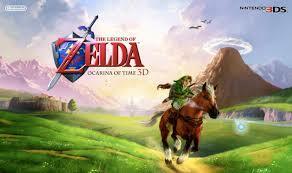 The Legend of Zelda: Ocarina of Time 3D: To me this is what Zelda as a games is all about. It represents everything awesome and fun about the franchise. I list 3D as my favorite because it was the only version I played. This game is simply awesome and fun, with great puzzles, bosses, characters, dungeons and just everything Zelda-y. If you only play one the legend of Zelda game, this should be it. The Story is good( I love the time travel bits) and it has amazing music( what zelda game doesn’t though?). This is just great! 7.Super Smash Bros. 4: Smash bros games are known for their loads on content, but this one really takes the cake. Maybe it’s because on loads of DLC but this thing has tons to do. 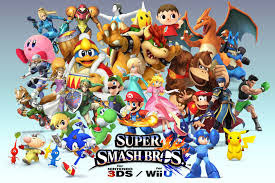 It has the biggest character roster and many modes between the different versions. It’s also the first portable game in the franchise, so you can settle any fights between friend on the go. It’s lot of fun too, and has a nice balance of characters so any one can find a few mains. This is the definitive smash bros experience. 6. 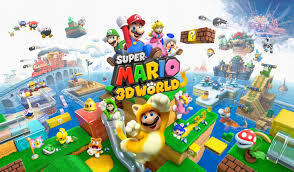 Super Mario 3D world: This is my favorite Mario game. Maybe it’s the levels or the power-ups but this is the most fun I’ve ever had with a Mario game. It has a nice difficulty curve, and has multiplayer as well, so you can enjoy with friends. The story is a bit different than you’re typical Mario, which is nice. It also has really unique and fun levels, even the boss fights! Instead of world 8 being a lava world like usual, it’s a Bowser themed theme park! 5. 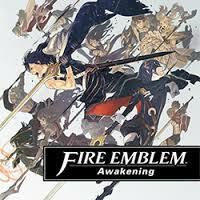 Fire Emblem Awakening: I know I haven’t reviewed this one but I still love it to death. This strategy game is loads of fun. You use acts as a tactician who commands the units of a army in the fantasy land. The series also gives you the option to remove the permadeath of units that this game series is known for, making it approachable to newcomers. But what makes this game for me are the diverse cast of characters. Each member of the army is totally unique and lovable, making it easy to get attached to them. They have conversations with each other that can be really humorous. I played through this game first on casual, then on classic, and classic really does make you think more strategically, fearing for the lives of each of the unique characters. It also makes you feel involved, making your own avatar who has big role in the game. 4. Kid Icarus: Uprising: This game is one of my favorite for so many reasons. It has a great cast of characters who are all really funny and have good chemistry and writing. It has good story with great plot twists and fun diversity in where you go. It has fun game play and good action. It has excellent music( I’m still listening to that dark pit theme). It has lots of collectibles, so many that you’ll never quite finish. It has good replay-ability with each weapon making the game vastly different. It has good multiplayer, make for fun competitive time between friends. There is just so much to this game that listing it all would take a life time. This game is a fun ride and great game in general. 3. 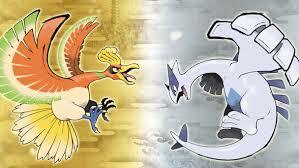 Pokemon: Heartgold and Soulsilver: My favorite pokemon game, ever. Pokemon is a very important thing in my life and this is the best game in the whole series. While newer games may have more pokemon and mechanics and items, this one is simply perfect. With good difficulty and so much to explore, this game was magical when I first got it as a kid. From discovering you could go to Kanto and fighting red on mount silver, don’t even get me started on the Poke-walker. For me this is just the best pokemon game, period. 2. Portal 2: This game is amazing. It’s a puzzle/shooter game like no other. This one forces you to think in new and creative ways if you want to beat it. It has the Excellent Villain of GLaDOS, who is the best villain ever, and the great character of Wheatly, who is hilarious. With clever writing to back up it’s awesome gameplay, this is one will have you feeling awesome one minute and laughing at GLaDOS and Wheatly the next. It has awesome multiplayer as well, if that wasn’t enough. And you can design your own levels, so this game can go on for INFINITY! Just go play this game, unless you like missing out on things that are great. 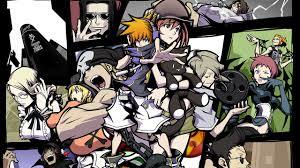 1.The World Ends with You: This is my favorite game of all time. For me it just represents the essence of fun in video games, which is why I play them. The dual screened game play may seem choatic at first but once you get it down it’s extremely satisfying. The wide variety of pin actions are fun, too. You also have three different partners to choose from, which vary the gameplay immensely. My favorite to play as was Joshua. And the Story. This game’s story is amazing. My favorite ever in fact. The character growth of Neku through out the game, and all of the characters make this game really special to me. Especially Sho Minamimoto, a boss who shouts random math terms as he battles you. Once you have all of the secret reports collected this game’s story is really satisfying. Also, the music. The music of this game suits it perfectly, and is my favorite video game music ever. This game is my favorite for so many reasons.